ATLANTA - Georgia is scheduling the execution later this month of an inmate who has won worldwide support for his claims of innocence in the 1989 slaying of a Savannah police officer, his attorney said Tuesday. 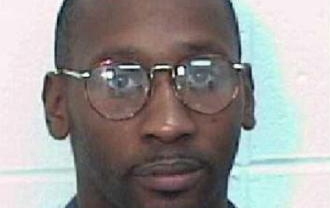 A Chatham County judge signed the death warrant for Troy Davis yesterday, marking the fourth time since 2007 that the state has a scheduled an execution for Davis. The U.S. Supreme Court cleared the way for the execution in March by rejecting an appeal by Davis. Davis has long said he could prove he was wrongly convicted of the killing of Mark MacPhail. The officer was working off-duty at a Savannah bus station when he was shot twice while rushing to help a homeless man who had been attacked. Eyewitnesses identified Davis as the shooter at his trial, but no physical evidence tied him to the slaying. Davis was convicted of the murder in 1991 and sentenced to death. The U.S. Supreme Court in 2009 agreed he should have the rare chance to argue he was innocent before a federal judge. It was the first time in at least 50 years that the court had granted an American death row inmate such an innocence hearing. During two days of testimony in June 2010, U.S. District Judge William T. Moore Jr. heard from two witnesses who said they falsely incriminated Davis and two others who said another man had confessed to being MacPhail's killer in the years since Davis' trial. But Moore concluded in August that several of the witnesses had already backed off their incriminating statements during the 1991 trial — so it wasn't new evidence — and that others simply couldn't be believed. He ruled that while the evidence casts some additional doubt on the conviction, "it is largely smoke and mirrors" and not nearly strong enough to prove Davis' innocence. Davis appealed, but the 11th Circuit Court of Appeals refused to hear the challenge in November. The U.S. Supreme Court rejected it in March. The condemned man's case has become a focal point for the international anti-death penalty movement. The National Association for the Advancement of Colored People, Amnesty International and dignitaries such as former President Jimmy Carter and Pope Benedict XVI have all urged Georgia officials to spare Davis. Meanwhile, the NAACP spoke out strongly condemning the scheduled execution saying it "believes that there is too much doubt surrounding the conviction of Mr. Davis, whose many accusers have since recanted their testimony against him."